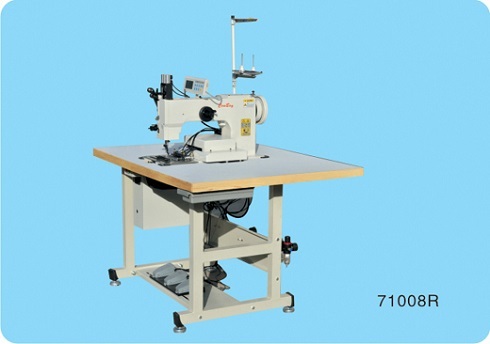 Advantages: High speed up to 1600 RPM; Large rotary hook with 3 times of bobbin capacity; Easily stitch 2-3 ply of nylon and polyester webbing with each of 3 mm (total thickness 9 mm); Using thick thread up to metric size #10 (=T-270, 840d X 3, V277 ); Automatic bobbin changer is available as option. 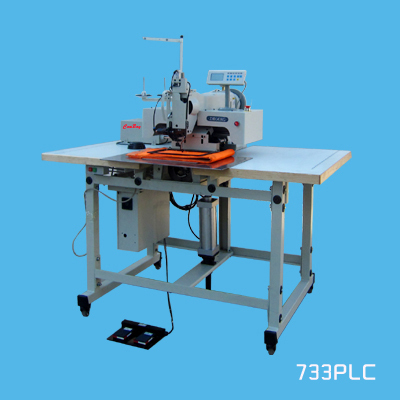 Advantages: High speed up to 1600 RPM; Large rotary hook with 3 times of bobbin capacity; Easily stitch 2-3 ply of nylon and polyester webbing with each of 3 mm (total thickness 9 mm); Using thick thread up to metric size #10 (=T-270, 840d X 3, V277 ); Reliable automatic thread trimmer for thick sewing thread. Applications: safety harnesses, lanyards, seat belts, sling protections, fall arrest system, rescue belts, fall protection equipment, military straps, backpacks, lift vests, bulletproof vest and military tactical gear, body armor and safety nets. 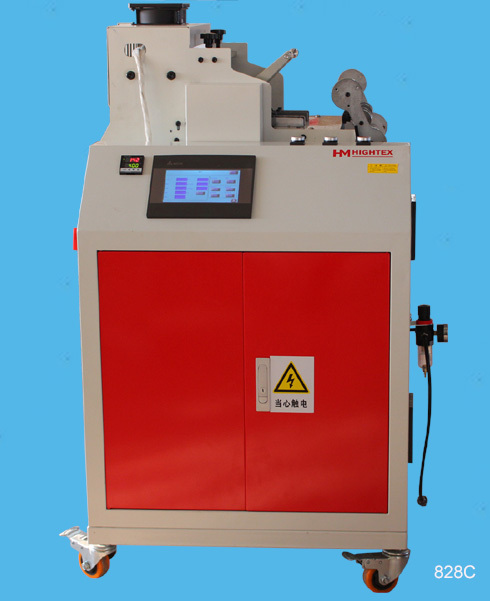 Advantages: High sewing speed guarantees high efficiency; Special large horizontal axis rotary hook and bobbin capacity; Can easily sitch 2-4 ply synthetic webbing (3mm of each together); Automatic thread trimmer (cold cutter) is available. 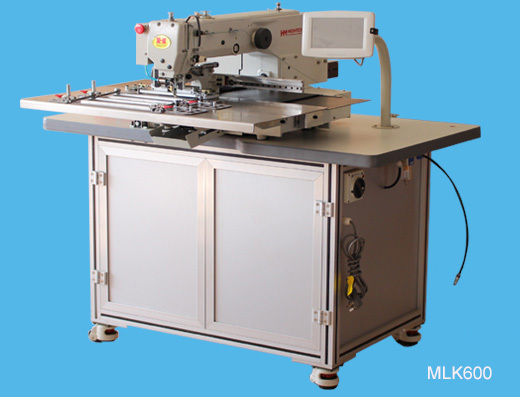 Advantages: With 130 × 60mm of sewing area; Extra large Barrel shuttle hook; Can easily sew 2-5 ply webbing slings (3.5mm of each) together; It is capable of sewing various thick and tough materials like Nylon, Polyester, Polypropylene, Webbing, Kevlar, Vinyl, Leather and Canvas; Without automatic thread trimmer. Application: safety harnesses, lanyards, seat belts, sling protections, fall arrest system, rescue belts, fall protection equipment, military straps, backpacks, lift vests, bulletproof vest and military tactical gear, body armor and safety nets. 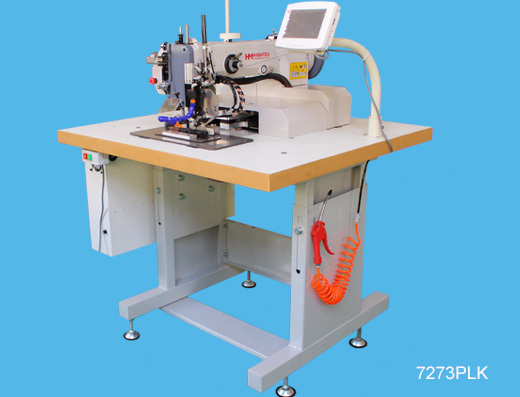 Advantages: With 120 × 50mm of sewing area; Extra large Barrel shuttle hook; Can easily sew 2-4 ply webbing slings (3.5mm of each) together; It is capable of sewing various thick and tough materials like Nylon, Polyester, Polypropylene, Webbing, Kevlar, Vinyl, Leather and Canvas; Equipped with an upper and lower burning type thread trimmer; Due to its robust design, quick change clamp is available to increase sewing efficiency. 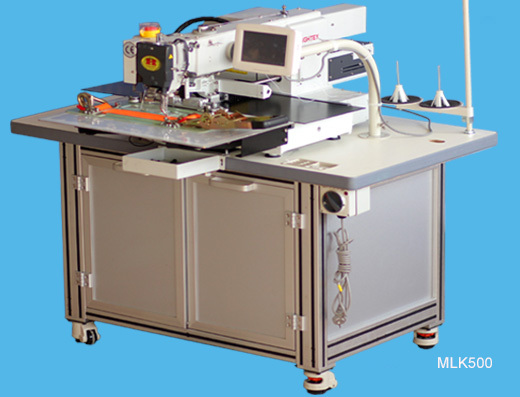 Advantages: The presser foot has an ultra high lift of up to 32mm; Super large shuttle hook and bobbin capacity offers high efficiency in sewing products using extra thick thread and has a thread rating up-to size #0 - #00; Can easily sew 6-8 ply synthetic webbing slings (3.5mm of each) together; Below demo video is for sewing 4-ply Mil-W-4088K type 26 military spec Nylon webbing (parachute harness). Applications: parachute harness, seat belts, safety harness, military and tactical gear, backpacks, life vest, fall protection equipment, Aircraft Arrestor Tapes, heavy duty equestrian harnesses, rigging products. 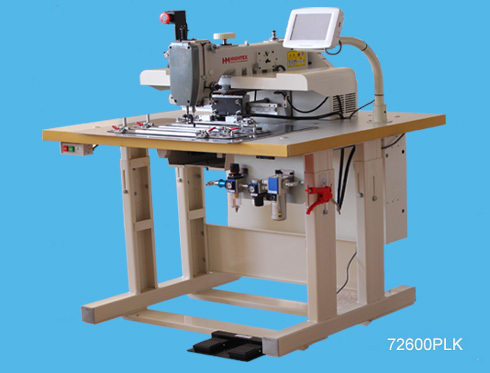 Advantages Both angles (start and end) can be adjusted independently from 0-45 degrees; Hightex 828C is an professional hot cutting machine for heavy duty synthetic straps, belts, harnesses and Webbing. Cut and seal the material in same time for simple future processing. Application: safety harness webbing, seat belts, ratchet straps, lashing straps & tie downs, fall protection equipment, rescue belts, safety lanyard, military webbing straps and medium weight lifting belts.